…was the name of the train, a trip from Bristol to Chester for the Christmas market. It was going to be hauled by Tangmere, an un-rebuilt Bulleid pacific, but earlier in the week, Tangmere was advised as “unavailable”, and instead the reliable duo of 44871 and 45407 would haul the trip. At about the same time, the weather forecast was rather unfriendly – happily, the forecast improved, and in the event, the morning’s fog cleared to bright sunshine. 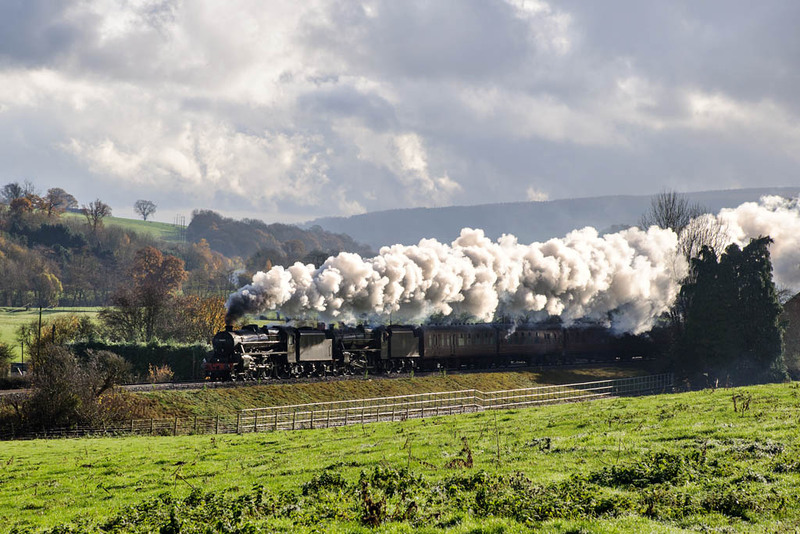 Here they are, Black 5s 44871 and 45407 hurrying along, on time, near Stokesay with the Christmas Cheshireman.